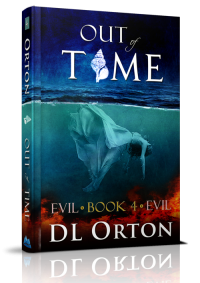 Launching the Between Two Evils series, Orton constructs a delightfully fun time-travel adventure that spans years and universes. Isabel is facing the consequences of her self-destructive behavior: she’s freshly divorced and on the edge of losing her life’s work. Things look up when she’s reunited with her long-ago love Diego, but their renewed relationship begins with and is punctuated by disasters. Physics professor Matt is conscripted to unravel the mystery of an impossible object that is causing the perils threatening the lovers. 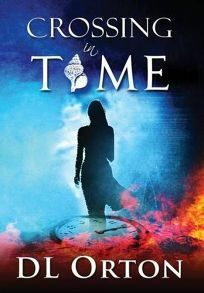 Matt and his team use technology sent from the future to determine that the key to saving the world is personal rather than global: it depends, somehow, on the enduring love between Diego and Isabel. 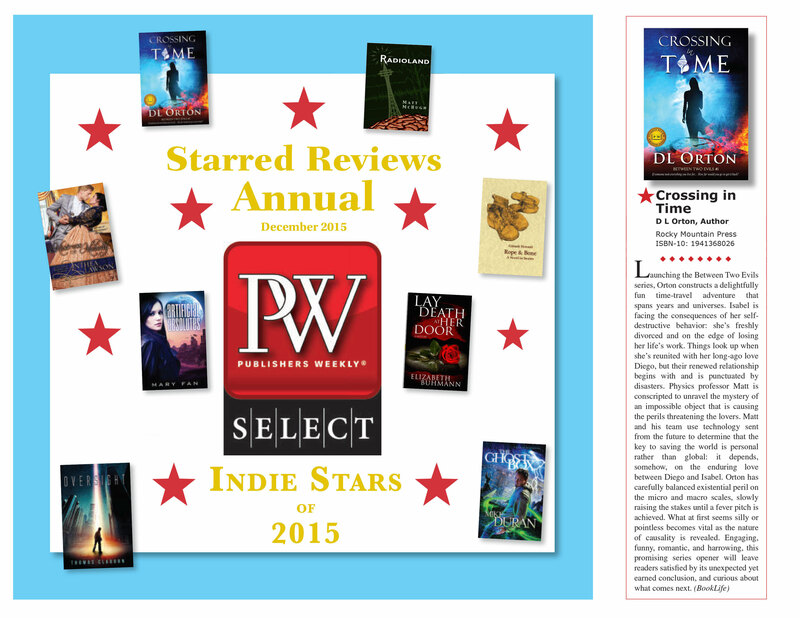 Publishers Weekly Fiction Book Review: Crossing in Time: The 1st Disaster by D.L. Orton. Rocky Mountain, $30.99 (384p) ISBN 978-1-941368-02-2.